Keltech Engineering Ltd are a subcontract sheet steel fabrication company with the ability to punch/laser cut, fold, weld, powder or wet paint and assemble and supply components to OEM’s in a wide diversity of industries. We serve customers in Ireland, Northern Ireland, UK and the USA. 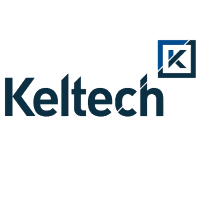 Keltech Engineering Ltd, was founded in 1988, is a contract manufacturing partner specialising in the supply of integrated metal assemblies with a focused level of expertise in: Acoustic Enclosures, Tanks, Cabins & Over-Head Guards and Telecommunications Enclosures. Management System (ISO 14001 :2015) throughout the company. The key challenges were to establish the current legislative requirements as they applied to the company and how the company was meeting these requirements. The identification of the environmental aspects relating to the companies processes and the controls associated with these aspects. The process is just the first step in the company integrating. Environmental principles into its everyday operation. Environmental consideration is now becoming part of the decision making process in the company.